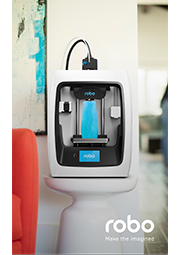 The Robo R2 is an advanced, high-performance smart desktop 3D printer. It offers outstanding value for money, and makes 3D printing easier than ever. Connect to the Robo R2 via Wi-Fi using your mobile or tablet via the Robo app. The heated print bed prevents warping of materials such as ABS, which can happen otherwise. This in turn allows you even more filament options to print with. The R2 boasts integrated model slicing, which simplifies and shortens the path to 3D printing, by eliminating the need for STL, 3MF, OBJ files to be sliced beforehand. You can also control your Robo R2 using the free Robo App, available to download for iOS, MacOS and Windows devices (Android support is coming soon). 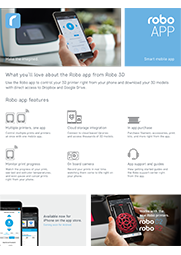 With the Robo App you can send files to print from anywhere with an internet connection as well as monitor and control prints in real-time from your devices. 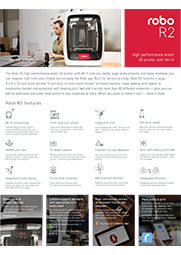 Prepare, manage and monitor your prints, including all relevant settings, quickly and easily with this free application. Log in from your mobile device to check how your print is coming along. Designed to tackle large-scale projects with ease, the Robo R2 has a spacious 203 mm x 203 mm x 254 mm build volume. 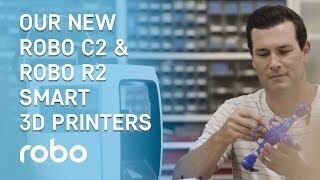 The Robo R2 is an advanced 3D printer, but it’s also one of the easiest and simplest to use on the market. It is controlled via a 5” colour touchscreen, which lets you adjust printer settings and control every detail of prints in real-time. Ensure you use every last bit of filament, without this you'd perhaps end up wasting the last few grams of filament. 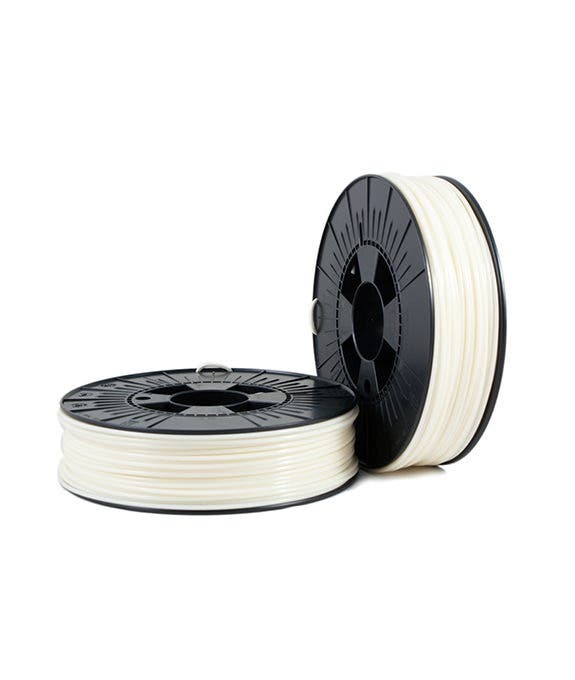 Instead the R2 will simply pause your print when it has used all of the filament, allowing you to change your reel and resume printing without losing your print. With the option of purchasing a 2nd extruder you can print in more than one colour, material or even take advantage of dissolvable support structure giving you a clean finish to any complex prints. Another task that the Robo R2 does for you is to level the print bed automatically. Not only does this save time, but it increases print success rate as you know the print bed is level for every print. Dual high-speed fans cool prints down quickly to improve quality and consistency. 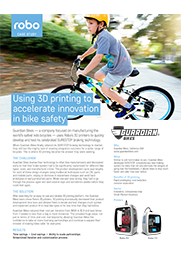 With a movement speed of 250 mm/s and a print speed of up to 16 mm³/s you'll be able to print whatever you need quickly. Improve the functionality of the Robo R2 even further with alternative, swappable extruder modules. 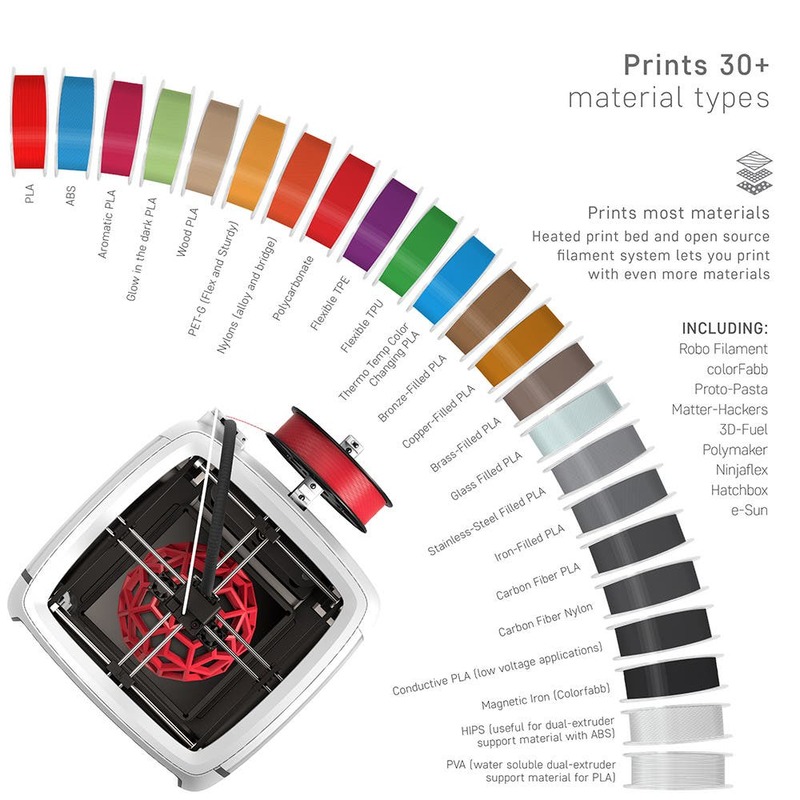 Reliable and stylish, the Robo R2 prints over 30 different filaments. You can print with PLA, PET-G, Nylon, Flexible TPE, Flexible TPU and many more materials, including Robo’s own PLA and ABS filaments which can mimic real wood or glow in the dark. 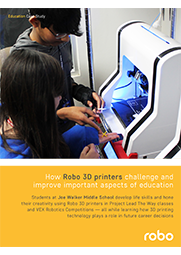 "The students have gained experience designing with 3D modeling programs, which in turn gives them the edge on students not using 3D printers for future jobs in the real world." 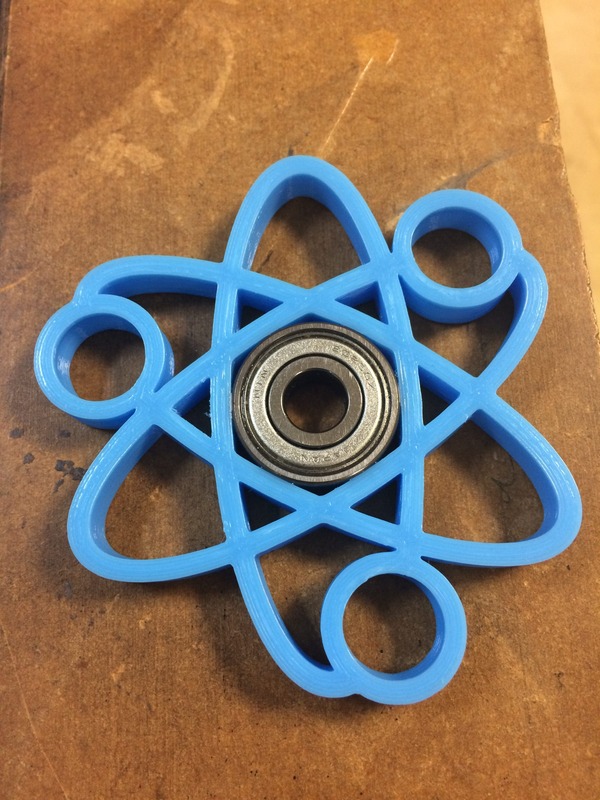 Atomic Fidget Spinner - this print took 2 hours and used just 16g of filament costing just under £0.60.